I want to donate STEEMSUPPORT.COM to the STEEM community! Please help me do it right! Last year I've bought the domain ( http://www.steemsupport.com) thinking that I will have time to create something nice for the STEEM community. The months passed and the website was "lonely" in the vast internet space because I've never had the time to really do something with it! Today, I've opened the admin panel and I see 775 registered users! Wow! It seems that many steemians are interested and registered on the website in the past 10 months without any advertising! 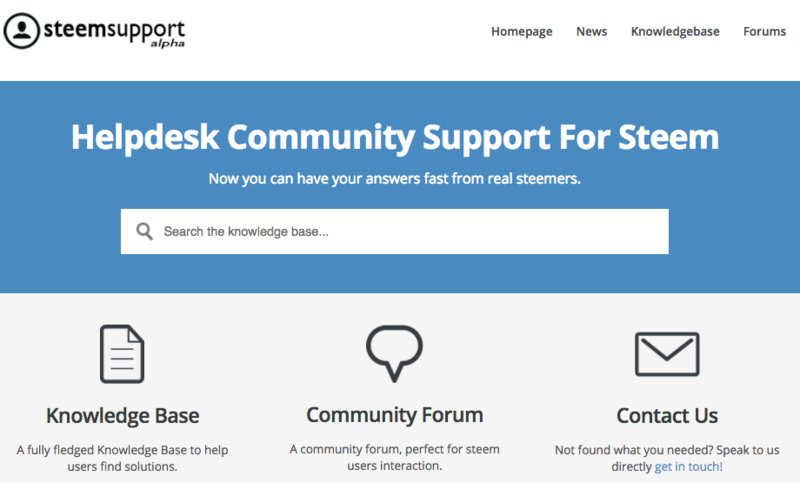 I hope somebody will be able to tie this to Steemit Inc or to really use it more as the Official Helpdesk for Steem. You will decide who will receive the domain so please comment your proposals and help me decide who will get the domain! We need one important community member to manage the domain so please spread the news! Even though most of the support goes through the steemit chat, I still believe there should be a central place people should be pointed for help in a more traditional way. I think I want to see more exposure for this announcement before deciding what to do. thank you for the interest! You are the first on the list anyway! I will try with another post and mention all the whales to participate. I want to see what will happen! Install wiki software, and let the community run it with links to posts and local content in the wiki. I would volunteer, but I have two other steem related community site projects already in progress and no bandwidth for this one, though I have tons of ideas on who might be good content contributors for a help site project effort. Why do all the good helper names start with an A? What are the projects you are doing right now ? Really want to take a look !! What a pity that you can not continue with the page. I hope you find someone who can handle it. Surely someone could do it. Thank you for creating applications for the community. I hope that in everything that you propose, you obtain the best results. What is the latest update on this? Looks like there is a parking page on the domain now. Hello @cryptojoy.com , I am steem developer and looking for support to deploy my steem applications. I have gone through your post and I am sure I can help you set up the application as per your requirements. I have already built SteemGigs web app ( to be launched Nov 10th) and steeminstant.ly mobile app ( to be launched on Nov 15 th). I am looking for support for this project to go on, in form of contributiion for development efforts. I am offering you an opportunity to collaborate. please reply or connect on steem chat @aneilpatel if you are interested.